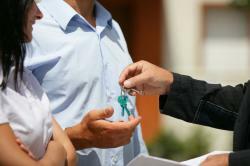 The process of buying and selling a home is complex and can, understandably, be quite stressful. That’s why it’s important to choose an agent who not only provides a good set of selling tools but also appreciates that having experienced people on your side is important. At Williamsons, our staff will be there to offer you support, guidance and advice at every stage of the transaction. However, you don’t need to listen to our claims and promises. Having recently completed the purchase of our new home marketed by you, I wish to place on record our thanks to everyone at Williamsons for all the assistance in bringing the transaction to a satisfactory conclusion. The negotiations were very protracted and not straightforward, resulting in considerable extra work for all the staff at Williamsons. The house required extensive modernisation before occupation necessitating numerous visits by builders, plumbers, electricians, heating engineers, and decorators. Because the property was unoccupied, it fell to you and your staff to accompany both ourselves and the various tradesmen during the many visits involved in identifying the work to be carried out and to enable them to provide quotations for this work. This often resulted in visits by tradesmen after hours, in addition to those during normal working hours, and you were always more than willing to oblige. You personally conducted the negotiations to secure the sale for the vendors and this was done by you visiting us at home and not just relying on the telephone or email. Having experience of selling my own property prior to moving to Easingwold, I feel qualified to say that no estate agent could work harder for their clients than Williamsons and if ever I am in a position of having to sell my property (which I hope is never the case), I will certainly ask you to work on my behalf. You don’t just seek to complete a sale at any price – I can say from personal experience that you negotiate the very best price possible for your clients. Thank you for all your help, good humour and for keeping us updated – All good wishes – Mr & Mrs W.
Thank you so much for all your hard work selling our property – Best Wishes C & S.
Just a quick note to thank you for all your help and support over the past year. It has taken us a while but hopefully it has all been worth it and we are very much looking forward to moving to Raskelf – F & B. Thank you all so much for your help and support over the last few weeks – Best Wishes from Mr & Mrs M.
With thanks for all your help in my purchase of Park House. It is much appreciated – Mrs G.
To everyone at Williamsons Thank you for all your help – Kind regards – E & C.
Just a short note to thank you so very much for all your hard work leading up to selling our bungalow. Will pop in to say hello when we are down later on in the year. Many thanks – S & L.
Thank you very much for the incredible amount of help and support you’ve given us during the purchase of our new home. Please pop in for a cup of tea whenever you are passing. With love from Mr & Mrs C.
Just a note to thank you for all your help with our recent house move. Your offer to help out with accommodation, although not accepted, was above and beyond your job role and very much appreciated. We are settling into our new home and really appreciate all the extra space. With best wishes H & M.
Thank you so much to you and all the team at Williamsons for the help and support during our house purchase. Your guidance was invaluable for us ‘first time’ buyers. Happy Christmas. Best Wishes – J & L.
To the team at Williamsons, Our grateful thanks for all your patience and for all the time you devoted to our frequent and lengthy visits to Woodside Close. You’ve all been fantastic – Mr & Mrs O. What a great experience we have had purchasing a property through Williamsons. Amy was our main point of contact and she was excellent throughout the whole process, nothing was too much trouble and she was always available to help and offer her advice. The whole team are friendly and professional and answered any queries quickly.